The HORROR HUNTERS are coming! Over the years, I've met some really great people in the horror community while attending conventions and horror movie marathons and whatnot. A couple of those really great people are about to host an awesome new show on Shout! Factory TV called Horror Hunters! I met Aaron Christensen a few years ago at a HorrorHound Convention in Cincinnati and have become good friends with the man. He runs Horror 101 with Dr. AC...which is a really great horror resource for anyone looking to expand their knowledge of the genre. Adam Rockoff is another passionate horror fan that I met at a local horror movie marathon, who happens to have recently released a book called The Horror Of It All. 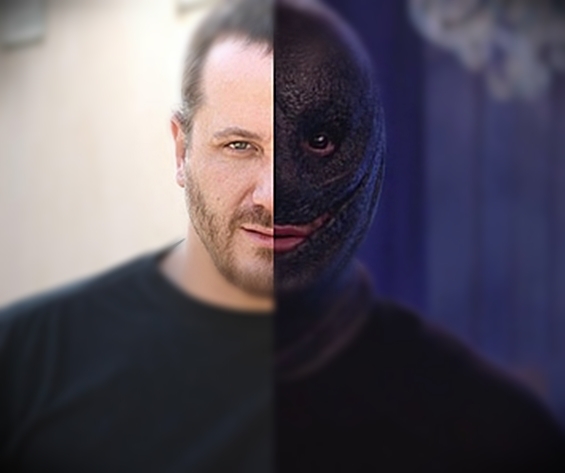 Both individuals are supremely talented in their own right and both are devoted to this Deviant genre that we cannot get enough of. 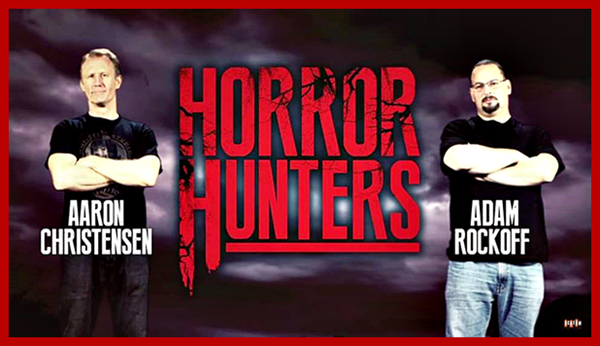 So, I remember Mr. Christensen telling me about this particular new show a year or two back called Horror Hunters...and I remember being super stoked about it back then. Then...all of a sudden...without any kind of warning whatsoever...this trailer! Horror Hunters is Scream Factory’s first foray into producing original premium unscripted series for the Shout! Factory TV digital platform. Made by and for fans of the horror genre, the launch of Horror Hunters serves as an important step in broadening the reach of Shout! Factory and its imprints as a tent pole new show for the streaming service. Horror Hunters will be live-streamed and then available for VOD viewing on Shout! Factory TV beginning October 28. In Horror Hunters, horror experts Adam Rockoff and Aaron Christensen embark on a journey to discover some of the greatest collections of horror memorabilia in the world. At each destination, the Horror Hunters offer rare and valuable pieces from their own collections while attempting to trade for the most sought after, one-of-a-kind items they encounter. In the pilot episode, the Horror Hunters visit Frankenstein uber-collector Phil Meenan and come face-to-face with a working (and dangerous!) Jacob’s Ladder device. Next, the Horror Hunters travel across Chicago to meet with well-known horror blogger Jon Kitley inside the infamous Kitley’s Krypt, where they propose an epic trade. Because the show is made for the ultimate horror collector, Horror Hunters viewers will be encouraged to take a short survey to give feedback on the pilot following the live-stream. This feedback from fans will guide the future of the show beyond its pilot episode, and each voter will be entered to win a Scream Factory Blu-ray prize package. Be sure to tune in on 10/28 for the pilot episode HERE!